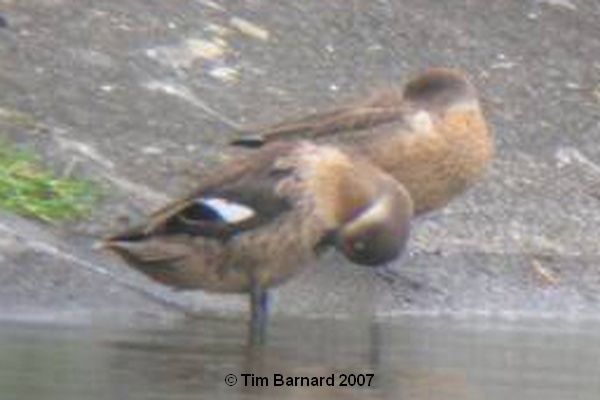 Chestnut teal? Or are they? 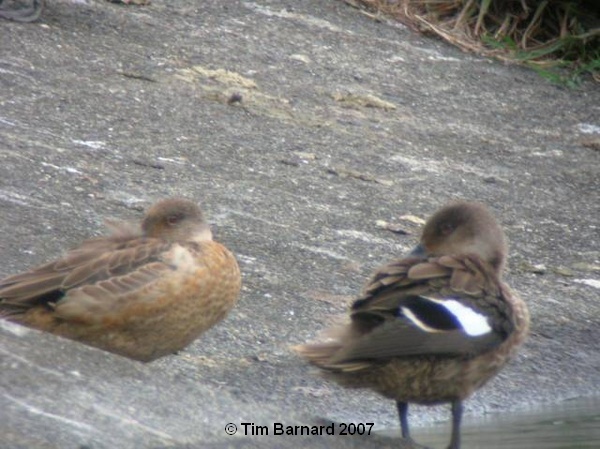 On 21/01/07 Tim Barnard stopped in at the small sewage ponds near Straka’s Lagoon on Waiwera Road, Waiwera (near Orewa). 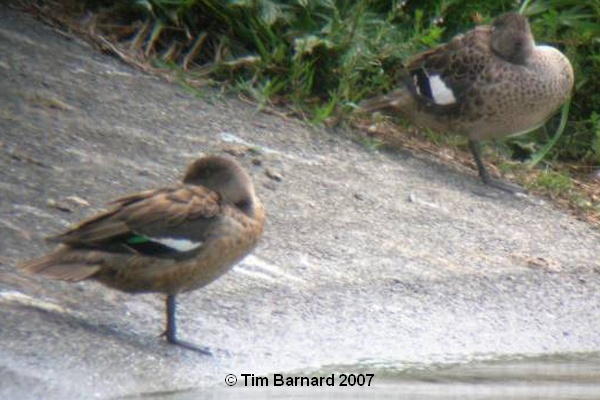 A surprise find was a pair of chestnut teal, which allowed the photo below to be taken. The birds had not been present at this site when Brent passed through on a Wrybill Birding Tours, NZ 21-day tour on 11/01/07! This find fits with a host of other recent rarities from Australia. See the other species listed on the Rarities webpage. OK! So this one is causing some debate. 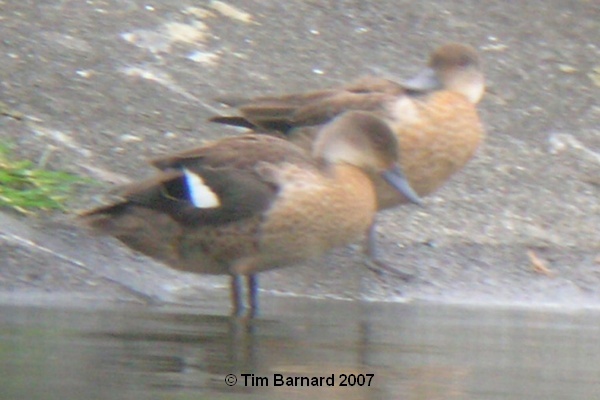 Having posted the sighting and pictures here as chestnut teal, people have suggested a number of other alternatives – either stained grey teal, or a hybrid pair. The debate is still underway, and we will post new information as it comes to hand, and a concensus at some stage, if indeed there is one! There are also a couple more images added as of 25/01/07, see below. OK, so after all the debate, the dust has settled. The general consensus is that the birds below are in fact GREY TEAL, but that their plumage has been stained. Interesting birds though! The above photographs were taken by Tim Barnard, and are copyrighted. If you would like to use them, then please contact me and I will forward the request to Tim.